The term abortion stigma refers to an idea that abortion is inherently wrong or socially unacceptable. It’s a belief that is culturally ingrained and reinforced in both implicit and explicit ways through media coverage, popular culture, and a lack of accurate information about the procedure itself. In particular, right-wing media and anti-choice groups have worked relentlessly to capitalize on this lack of public knowledge and awareness by demonizing abortion providers and patients and by fearmongering about the safety of abortion procedures. Because abortion stigma pervades when there is a lack of information or factual discussions about abortion, some advocates promote the idea of highlighting individual experiences and personal narratives as a strategy to encourage more public dialogue about abortion being a normal part of health care. Accordingly, in early January 2018, Ohio abortion provider Preterm launched a new campaign called “My Abortion, My Life,” consisting of 16 billboards put up around the city of Cleveland, Ohio. According to Preterm, all the billboards feature “a fill-in-the-blank sentence: ‘Abortion is ______’” and are filled in with “a different word or phrase, highlighting the variety of ways abortion is important to our lives.” According to Cleveland.com, Preterm’s director of development and communications issued a news release saying that the organization wanted “to push people to think about abortion in new, diverse ways with these billboards" and wanted “people in our community who have had abortions to know that they're not alone." During the January 23 edition of Tucker Carlson Tonight, Carlson hosted psychologist Dr. Robin Bryman to discuss the Preterm campaign and abortion stigma. The segment, in which Bryman (seemingly) supported abortion access, demonstrated how easy it is to rely on talking points rife with abortion stigma. Carlson began the segment by asking Bryman about a recent paper by Dr. Gretchen Sisson (of University of California, San Francisco and Advancing New Standards in Reproductive Health) in which she argued for better depictions of abortion plotlines in television. Although Bryman initially appeared to be in support of abortion access, commenting that the study was “trying to destigmatize [abortion] with women,” her statements quickly veered into essentializing tropes. Carlson was not alone in his attack on the Preterm campaign. As with other attempts to combat abortion stigma, almost immediately after the campaign launched, it ignited right-wing backlash and became the target of articles from a variety of conservative and anti-abortion sites. Townhall described the campaign as “rather disturbing” and argued that “there’s no way to spin away that abortion is the termination of a baby.” Conservative Review claimed that the campaign “relies on deception and flagrant contradictions” before going through each of the 16 billboard designs with comments, calling some “a malicious lie,” “inherently selfish,” and “depraved.” The article also concluded that “abortion is a ‘sacred’ rite in the culture of death.” Meanwhile, outlets like The Daily Wire and Life News both used the campaign to promote the myth that abortion providers target black communities. Although Bryman claimed that individuals should have the option to have an abortion several times during the segment, her answers underscore the importance of having conversations even among pro-choice communities about why abortion isn’t inherently “a hard choice” or “a big deal.” As Preterm explained, “Abortion can be simple or complex. Easy or hard. A blessing or a struggle. It can be all of the above—and more.” And having conversations about those experiences is essential. 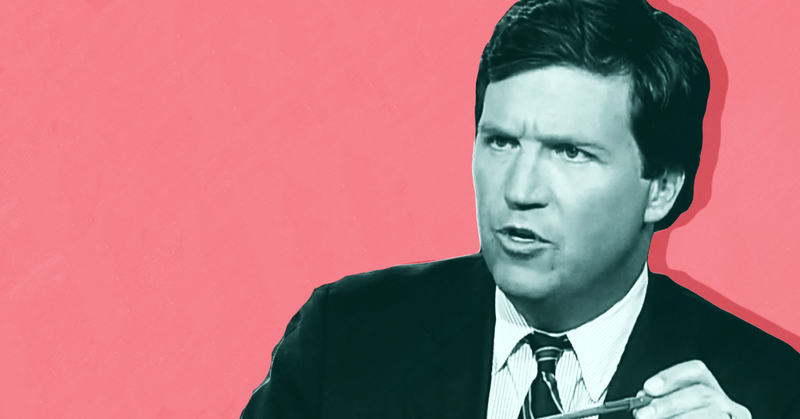 Carlson’s reaction to this campaign and others is largely unremarkable, like much of his commentary that isn’t blatant pandering to white nationalists. What is remarkable, however, is that his attempt to attack Preterm’s campaign actually underscores the necessity of such approaches by advocates to combat abortion stigma. On May 25, the discredited anti-choice group Center for Medical Progress (CMP) circulated an unlisted YouTube link to a new smear video against the National Abortion Federation (NAF) and Planned Parenthood. This footage was removed that evening because a district judge had “barred it from release.” Given this injunction, it seems notable that CMP didn’t publicly release or promote the video, and instead relied on anti-choice and right-wing media outlets to spread its claim. Deace has supported Cruz for several years and was an outspoken surrogate for Cruz prior to the Iowa Caucus. After Cruz's Iowa victory, Deace began criticizing Trump, continuing to advocate for Cruz despite being upset with his performance. Obama beat McCain in all education demographics. But he won those with a high school diploma or less by 17 points, and those with some college, a college degree, or more by only six points. Conclusion: Even in the Obama blowout of 2008 the more you went to church, and the more education you had, the less likely you were to vote for him. Just like with Trump 2016. Trump is not rallying a “silent majority.” Instead, Democrats are losing voters while Republicans are gaining from that loss. So these aren’t new voters, but rather the migration of a herd of messiah-seeking voters from Obama to Trump. The end result will be the banishment of whatever shred of conservatism the GOP still clings to if Trump is the nominee. The irony of this migration is that these voters are doing to the GOP what they complain unchecked immigration has done to America—define down its values while abandoning its traditions. Therefore, a Trump nomination would lead to the same balkanization and splintering of the GOP we’ve seen unchecked immigration cause in the culture at-large. These differences are simply not reconcilable.